Miranda was one of the 13 graduates of the 10th cohort of the 4D Development Program. In 2017, PWNA completed its 10th cohort of the 4 Directions Development Program (4D) and Miranda Lente was one of the 13 graduates who shared the many challenges of working in communities they serve. Through its 4D initiative, PWNA recruits and trains “emerging leaders” who are already recognized as local leaders, trusted members of the community to whom others go to for support. These individuals come to 4D willing to expand their knowledge, skills and personal and professional impact, seeking to improve the quality of life in their communities and sharing a common belief that giving up is not an option. 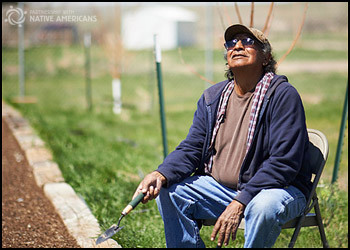 Miranda, who is of Isleta and Acoma ancestry, observed that “the 4D training description was different and interesting. 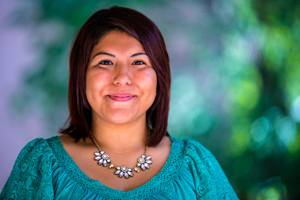 I knew it would benefit my current or future career path.” As a loan officer for Tiwa Lending Services, Isleta Pueblo, Miranda is helping members in her community learn about finances, credit, personal loans, and home purchase, and you can hear the excitement when she talks about her work. During the training, it was always interesting for Miranda to return home with new information and homework. Community leaders like Miranda seem to have a constitution for being of service to others. This quality may be steeped in a Native perspective of what a true leader is — one that has a balanced focus on serving others beyond any personal gain. Miranda credits her mother for instilling this quality in her. 4D emerging leaders like Miranda are bound to have lasting impacts in the communities they serve and PWNA is honored to serve them. 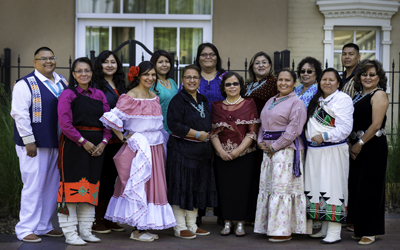 PWNA launched the 4D capacity building service to provide ongoing support to emerging tribal leaders. 4D emerging leaders like Miranda are bound to have lasting impacts in the communities they serve and PWNA is honored to serve them.